Protect your iPhone from drops and scratches with the iGuard Rebound Case. 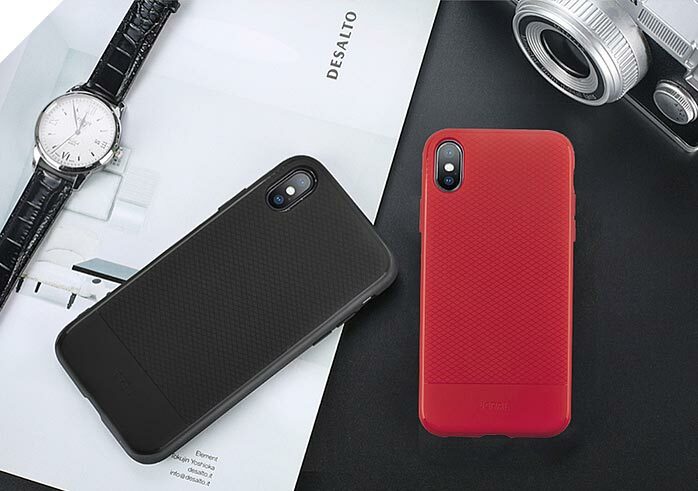 Compatible with the wireless charging function, this slim and flexible TPU case features Air Space corner bumpers that protect your device in the event of a drop. The scratch resistant back and sides are engraved with an easy-grip design and precise cutouts provide access to all your phones ports and function buttons. The fade-resistant TPU material features a non-slip geometric design, providing excellent grip even if the case is wet. 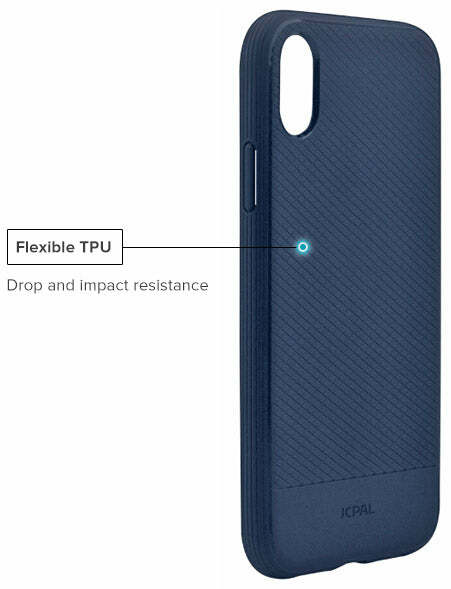 The case is made with environmentally-friendly TPU, providing flexibility and impact protection as well as incredible durability. 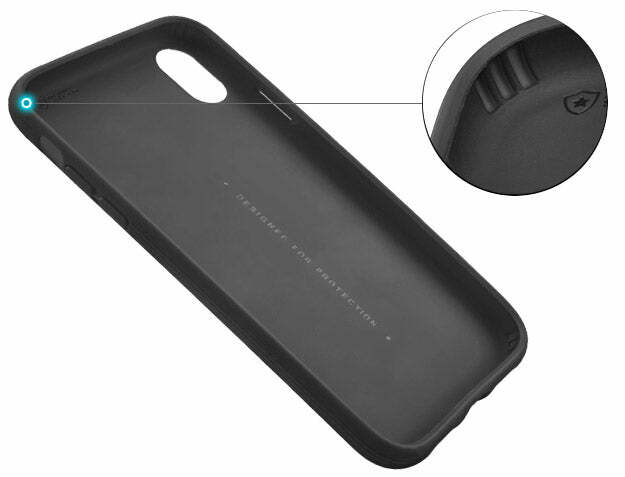 The inner corners of the case feature Air Space bumpers that provide cushioning and protect your device in the event of a drop. 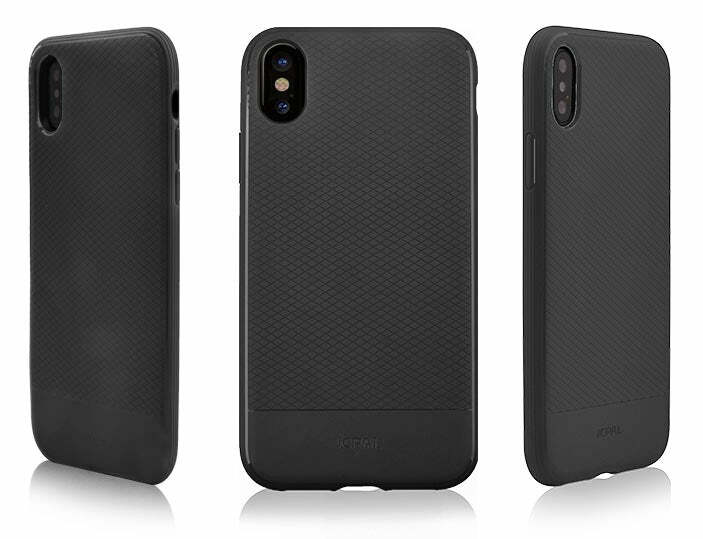 The iGuard Rebound case is precisely molded for a perfect fit and features carefully designed cutouts that allow access to all your phones features. Insert your iPhone Xs or Xs Max into the case as shown, volume button side first. Carefully press down on the corners to ensure the phone is inside the case. Press down on the remaining corners to push the iPhone Xs or Xs Max into the Rebound case and complete the installation. Casense Folio Case for iPad Pro 11"